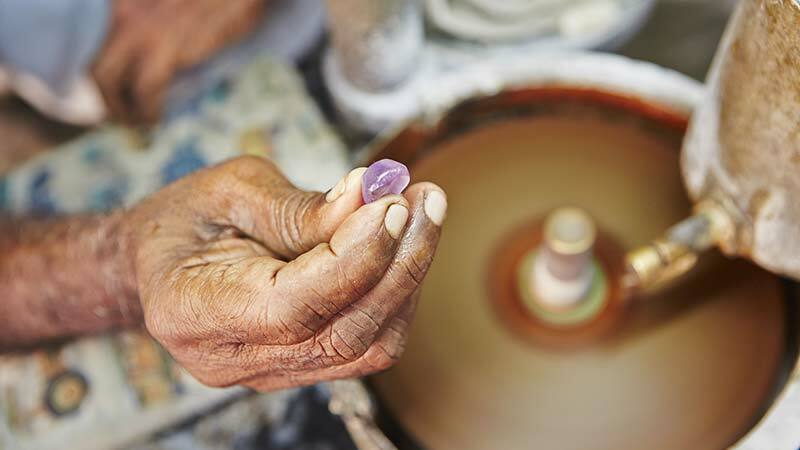 Gemstones are the most sought-after tourist item in Sri Lanka. From ancient times gems in Sri Lanka have been renowned for its royalty and high-quality. One of the reasons for high demand for Sri Lankan gems is that you can get a high-quality product for a very low cost compared to countries like US and UK. Since gems and birthstone jewellery are expensive items the difference in cost is vast and buying it in Sri Lanka saves you a lot of money. Rough uncut diamonds can be bought around half the price compared to US, UK markets and prices of cut and polished diamonds can be ten times high in the UK. If you are buying jewellery with gems embedded in them the variation in price is even higher. So, it is not surprising that gems are in high demand. Because of this high demand you will find a few crooked salesmen prying upon gullible tourists. The government has taken strict measures to cut down cheating and protect the tourists. There are gem testing centres in major cities popular for gem trading and since this is a considerable investment it’s advisable to get them tested for a price. If you can visit The National Gem and Jewellery Authority, they have test centres where you can get your gem tested for free. Another measure the government has taken to cut down on selling fake gems is licensing gem selling stores. If you are buying a gem in Sri Lanka it is always a good idea to buy from a licensed gem store. One of the best places to buy gems is the National Gem and Jewellery Exchange at the World Trade Centre, there are many shops there, so you are sure to find somethings that matches your taste and because of the competition you can get a very reasonable price too. This is definitely a bit more expensive than buying from various other shops, but you are guaranteed of quality and authenticity. The best and the cheapest way is to buy it via a local who knows about gems. The trust factor plays a major part here, but many foreign traders take this route because it is far cheaper. A friendly chat with your hotels manager or someone you already know in Sri Lanka can lead you to such a guy, so always make sure to explore this option.